All the desire and funding in the world won’t do you much good as a residential redeveloper if you don’t have a successful real estate marketing mindset. Sure, it’s easy to pound the pavement and look under every real estate rock when things are going well. But when adversity strikes; when your real estate investing business doesn’t go according to plan; when leads and available properties are as rare as an affordable Manhattan apartment, it’s key you have the right marketing mindset in place. That way, you’re able to take advantage of opportunity when it presents itself. But what does having the “right” marketing mindset mean? What attitudes and beliefs can you adopt that will help keep the leads flowing in and your wealth goals on track? And how do you make sure you have right mindset, even when just getting started in real estate? 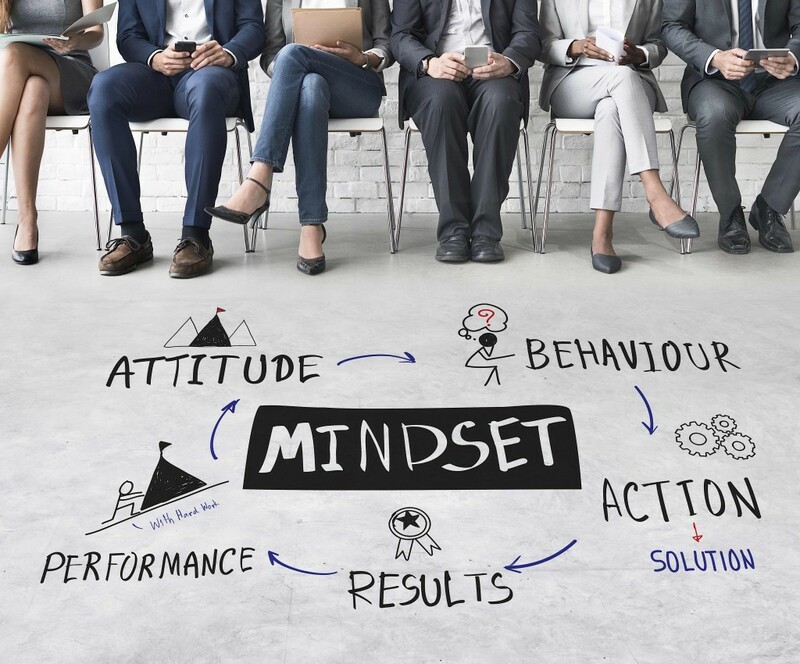 Here are five keys to a successful real estate marketing mindset to keep you focused, positive and pointed in the right direction. One of the best marketing experts in the world is Captain John Rade, a fisherman in Long Island who’s never used Excel, written a marketing plan or created a single Facebook ad. Don’t Take It Personally: This can be difficult, even under the best of circumstances. But there are a myriad of reasons why someone may say “no,” and few of them have anything to do with your self-worth. Instead “recognize that saying ‘no’ is a rejection of the request, not you,” and keep plugging away until you get the result you want. Expect Rejection: This doesn’t mean going into your marketing efforts with an expectation you’ll fail. All things considered, rejection doesn’t equal failure; it just means expecting you’ll encounter “some” form of rejection, at least in the beginning, which forces you to up your game, and not get rattled if things don’t go according to plan. Use Rejection As A Learning Opportunity: There’s always a reason behind why someone rejected your particular marketing message. Perhaps it wasn’t for them or they weren’t ready to pull the trigger on your offer at that moment. Don’t focus on perfection in your marketing — a myth that doesn’t exist — instead, look at what you can learn from rejection and how it can make you a better business person. Knowing exactly what you want your business to look like not only gives you focus and clarity — you can judge each marketing task not by how difficult it is, but by how it impacts your progress toward your end goal — but it can give you the motivation to push through resistance you’ll encounter. As Stephen Covey made clear in his highly-influential book, The 7 Habits of Highly Effective People, “all things are created twice.” First, you get a mental vision for what you want your business to look like and then work hard to make that vision a reality. The great part is when you have a clear vision of your business, much of the fear and indecision that can surround your journey toward a successful real estate marketing funnel will fade, as you’ll be following a path that’s already halfway completed. As Covey emphasized: “The physical creation follows the mental, just as a building follows a blueprint.” And if there’s one thing real estate investors know, it’s the value of a good blueprint. Relying on your gut to make marketing decisions? Find yourself creating lead-generation campaigns based on what you think will work? Do you know which of your marketing efforts are working? And which are falling by the wayside? Successful real estate marketing comes from a blend of right-brained creative instincts — we are, after all, marketing to humans — and left-brained number-crunching. Without data to back up our marketing conclusions, we won’t know what we’re doing right — or how to improve what we’re doing wrong. In addition, the assistance of real estate marketing tools won’t hurt either. Track Everything: Making sure you’ve got Google Analytics and Facebook tracking set up on every tentacle of your marketing funnel. Dedicate Time for Data: Few people enjoy pouring through analytics reports. But time spent analyzing your numbers, and figuring out how successful (or not successful) your marketing was, is time well spent. Ask The Right Questions: It isn’t enough to simply look at data. You must ask the right questions: What’s my cost-per-lead? What’s my conversion rate? Which social media platforms am I finding success with? In asking the right series of questions, you’ll find a whole new insight to your business you never thought possible. Marketing is hard. The social media tactic that worked last week will suddenly be rendered irrelevant. That marketing platform that brought the leads rolling in suddenly has gotten far too expensive or ineffective. The key is be flexible, to be ready for anything, and able to move fast. As Albert Einstein once said, “The measure of intelligence is the ability to change.” And having a successful real estate marketing mindset is a great first step in that direction.